Below you’ll find answers to the most common questions we get asked at Liniar. 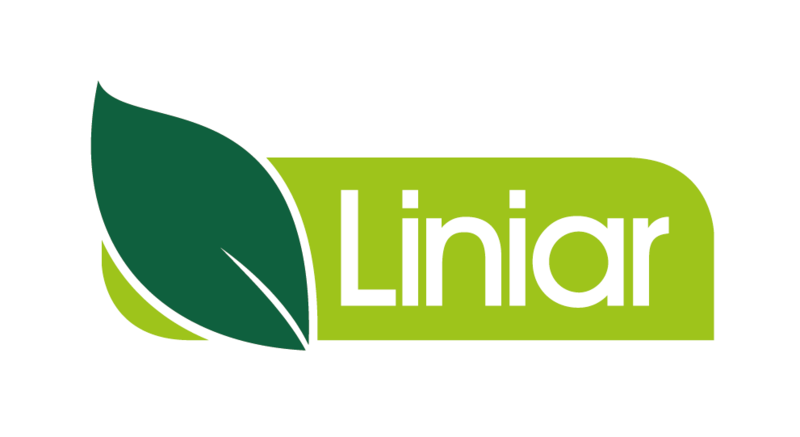 So whether you have questions about our products or simply need some general information about Liniar, browse below to see if we’ve already answered your questions. Throughout our website, we refer to a fabricator as the manufacturer of finished windows or doors. Liniar fabricators are independent specialist companies who order lengths of uPVC profile from Liniar, together with product designs, tooling, software, testing results and technical support, then use machinery to cut and assemble the uPVC profiles into a frame. Once they’ve manufactured the frame, they add glazing (usually double or triple glazing in a wide range of styles and options) together with hardware like locks, hinges and handles. Fabricators may supply finished Liniar windows and doors to the trade, double glazing companies, window installers, builders, construction companies or direct to homeowners – they may also be installers of these products themselves. What does Liniar Approved mean and why does it matter? Safety is a priority for Liniar, which is why the company designs and tests its products to be manufactured to its exact specifications, which are then provided to fabricators. This includes specific components, which were used when the product was tested and accredited for safety and security. Fabricators are able to apply to become Liniar Approved – and during this process, they are subjected to an intense audit process. Through the audit process, Liniar determines whether the company is using the required components to fabricate its windows, bi-folds and doors. Liniar cannot be held responsible for fabricators who do not include Liniar approved components in the products they manufacture. A Liniar window is not a Liniar window unless it contains all Liniar approved parts. For more information please see our approved fabrictor page. Using our Find a Stockist feature, you can find your closest Liniar Approved fabricator, trade counter or stockist. Finished Liniar window and door frames are fabricated using lengths of uPVC profile which has been carefully designed with multiple chambers inside to trap pockets of air, creating an extremely thermally efficient window that keeps the heat inside your property. Liniar creates lengths of uPVC profile at its purpose-built state-of-the-art facility in Derbyshire by extruding molten Polyvinyl Chloride (PVC) through a precision-tooled die, using the latest energy efficient machinery. Each die is tooled to develop the different types of Liniar profile. Once it is extruded, the uPVC is cooled and cut into lengths. Watch our video to see what we manufacture and how it’s done. Do you supply doors, windows, roofs or just the uPVC? Liniar is a uPVC manufacturer that designs and tests high quality, award winning products, then extrudes the lead-free uPVC profiles to make them. We supply lengths of uPVC profile to a network of independent, specialist fabricator customers in order to manufacture Liniar window and door frames to our tested specifications. These fabricators produce a range of Liniar products including windows, residential doors, bi-folding doors, patio doors, French doors and door frames for composite doors using Liniar approved components, adding glass and hardware as necessary to make a finished product. Composite, residential, uPVC, and glass reinforced plastic (GRP) entry doors are made in different styles and colour options by the fabricator. Contact your installer for their individual composite and residential door options, which will depend on those offered by the fabricator. Liniar does not manufacture or sell fully complete composite or residential doors. How do I find out who my closest fabricator is? Finding your nearest fabricator is easy. Head to Find a Stockist and fill out our online form. Once you’ve selected and submitted your request, you’ll be provided with your three closest fabricators. Our website is full of useful information about the Liniar and Alumina range of products. Alternatively, you can use our download centre for product brochures. How is your uPVC profile tested? We extruded profiles to British Stanadards – BS EN 12608 and ISO 9001. Finished products are tested to BS EN 6375 parts 1, 2 and 3 for air permeability and water permeability, structural performance, security and cyclic testing. Additional cyclic testing using our own in-house robot (see on-line) also allows us to push the boundaries to surpass British Standards in many cases providing end users with a tried and tested quality product. Finished products are also subjected to and have achieved enhanced security testing to PAS24 making them compliant to Building Regulation Document Q and Secured by Design (SBD) in most cases. Consult your supplier to confirm. All Liniar uPVC profiles go through air and water permeability tests, security including PAS24 enhanced security and cyclic tests using an onsite robot. Liniar residential uPVC door frames achieve PAS24, Secured by Design, BS EN 12608, ISO 9001 and BS EN 6375 accreditations. Liniar uPVC composite door frames achieve BS EN 12608, ISO 9001 and BS EN 6375 accreditations. The accreditations for composite doors depend on the door chosen. Speak with your fabricator about the best composite door and its security accreditations. What is a uPVC door profile? Liniar manufactures lengths of uPVC profile, which can be used to fabricate door frames for composite doors, and frames and panels for uPVC residential doors. These can be made with sculptured or chamfered, standard 4-chamber or EnergyPlus 6-chamber uPVC profiles. Liniar’s fabricator customers take these lengths, either foiled or plain, and cut and weld them into the final door style, which is installed in a home or business. Who repairs Liniar uPVC door frames? Refer to your installer for any repairs. Our 10-year guarantee covers Liniar profiles against warping, splitting or discolouring. For more information about Liniar guarantees visit our guarantees page. Your installer/supplier should supply a guarantee to cover the overall finished product and installation. Where can I buy composite and residential doors with Liniar profiles? How much do uPVC door profiles/frames cost? There are many factors, which go into the pricing of a frame, including, but not limited to: foiled or unfoiled, stock foiling or special order, chamber design and size. There are many factors which go into the pricing of a door. For a uPVC residential door, the uPVC profiles may be foiled or plain, with special colours available at a premium. The size and thermal efficiency will also affect the price, in addition to any glass added – patterned or plain, double or triple glazed etc. Hardware such as handles, hinges and letterboxes also come with a wide choice of styles and prices. Composite doors are manufactured using door slabs from a range of specialist companies and also come in a wide variety of styles and colours. This will depend on which composite door supplier the fabricator uses – so please ask to see the styles and colours of composite doors they offer and ask for an individual price. The frame for the composite door supplied by a Liniar fabricator will utilise Liniar profiles, ensuring a perfect match to your Liniar windows. Again, glazing and hardware can affect the price, so ensure you ask for a range of options. Are uPVC door profiles stocked in a range of sizes? Liniar standard and EnergyPlus profiles are 70mm wide, with the EnergyPlus90 Passivehouse standard 90mm system also available. uPVC door profiles are supplied in standard lengths by Liniar and are cut to size by the fabricator. Liniar profiles can be bent into arch shaped doorways, with doors cut to fit exact dimensions by specialist fabricators. For oddly shaped entryways and doors, contact your fabricator for more ideas. What colour can a uPVC composite or residential door frame be? The short answer is – it can be practically any colour you can think of! Additional foils are also available on longer lead times, and independent fabricators will be able to help with sprayed or painted finishes. Please contact your stockist or our sales team for further details. What are the threshold options available with Liniar composite and residential door uPVC profiles? What is the U-Value of Liniar uPVC door profiles? A residential or composite door fitted with a Liniar standard or EnergyPlus uPVC frame can achieve a U-Value as low as 1.0 W/m2K when triple glazing is chosen, and 1.3 W/m2K with double glazing. The actual U-Value of your door and profile combination will depend on the door and glazing chosen. Ask your fabricator or installer for further details. Are uPVC door frames safe for the environment? Liniar provides uPVC profile that is 100% lead-free, and all window and door frames are able to be fully recycled at the end of their life. Liniar has achieved ISO14001:2015 environmental accreditation and operates as a ZERO operational wastage facility. Protecting the environment is important to us. Can uPVC windows be painted? Yes, uPVC can be painted or sprayed using specialised paint and primers. Ask your fabricator if they provide spraying if you are looking for a specific colour. Your installation or fabrication company may offer repair services. You can also contact a qualified double glazing company or specialist uPVC repair company to fix your uPVC window. The cost of new uPVC windows depends on many factors. The fabricator you choose, the type of window you’re having installed, the finish, glazing requirements, Window Energy Rating and the locks and handles can all affect the price. To get an accurate quote, please speak with your fabricator or use our Find a Stockist function to contact your local Liniar Approved stockist. How do I clean uPVC window frames? Unlike timber windows which require regular maintenance, sanding and staining or painting, keeping your new uPVC windows looking fresh and new is easy. Simply clean the frames occasionally with a cloth and warm, soapy water. For full care instructions, please ask your installer for a copy of the Liniar Operation and Maintenance Guide or download a PDF copy on our downloads page . Are uPVC windows a standard size? Standard uPVC window heights are 450mm, 600mm, 1,050mm, 1,200mm, 1,350mm and 1,500mm. Standard uPVC window widths are 488mm, 630mm, 915mm, 1,200mm and 1,770mm. While these are the most common sizes of uPVC windows, fabricators can create made-to-order windows – for those who don’t fit within the ‘standard’ guidelines. Speak with your Liniar Fabricator for further details and see the Liniar Specification Guide for technical information including minimum and maximum sizes. What’s the difference between uPVC windows and aluminium windows? Each material type has benefits for use in the construction industry. Here are just a few advantages of each to help you make an informed decision. Why is Liniar the best uPVC profile? Liniar offers a range of different, unique uPVC window and door profiles, which between them carry 49 patents or registered designs – testament to the investment in research and design which goes into every product. Liniar profiles include the original, standard 4-chamber, the EnergyPlus 6-chamber and the EnergyPlus90 9-chamber (Passive house accredited) profiles. While other systems companies’ profiles have been modified over time and may now struggle to meet building regulations and legislation, Liniar designed its uPVC window profile from scratch in 2008 to be way ahead of what was required – and has continued to push the boundaries of thermal efficiency since. Liniar’s profile is uniquely designed to be one of the most energy efficient in the industry, while also providing a stunning finish to new and old homes alike. Liniar’s uPVC profile is designed using a special lead-free mix, and the brand is confident its profiles won’t warp, crack, fade or rot for 10 years. You can identify Liniar uPVC profiles by the green leaf on the protective tape applied, which needs removing after the fitting of the window or door. Where can I buy conservatories? Conservatories are designed and installed by double glazing businesses, conservatory installation companies, builders and some fabricators. For a full Liniar conservatory you can choose from a wide range of Liniar windows, bi-folding, sliding patio or French doors and add a thermally efficient Liniar conservatory roof on top. Choosing all Liniar products for your conservatory guarantees a perfect colour match between products and offers a single point of guarantee for your peace of mind. To find a supplier please use our Find a Stockist feature and contact your nearest Liniar Approved Stockist. What style conservatories do you supply? Liniar supplies conservatory roofs through its network of independent customers, and trade installers can purchase from them. The following types of conservatory shapes are available through Liniar fabricators, installers and stockists. As each conservatory is designed bespoke to each unique project, the shapes are there as a guide – see our conservatory pages for more ideas and inspiration. What benefits do Liniar conservatory roofs have? Liniar’s conservatory roofs come in easy to install kits with everything an installer needs to get the job done. This saves time on site and means less disruption for the homeowner. All Liniar roofs contain patented features including Glazing Stop, ensuring no glass slippage and no future call-backs, as well as Liniar EnergyPlus top caps to provide a strong, thermally efficient and attractive finish. The Elevate lantern roof is an ideal, cost effective way to add light to a flat roof extension. Elevate comes in a range of sizes and colours to match any property and offers a sleek finish with maximum glass and slim sightlines. Where can I see conservatories before I buy? Several fabricators and trade counters across the country have showrooms. To find your nearest showroom, visit the Find a Stockist function on our website. Are conservatories easy to break into? Several factors affect how secure a conservatory is. Most of the Liniar window and door range has PAS24 and Secured by Design accreditation – meaning they’ve passed security standards set by the Association of Police Chiefs. You can also opt for toughened glass to further increase security. Speak with your fabricator or installer for further details. No. Liniar designs, tests and manufactures conservatories but does not survey or install. To have a conservatory installed at your property, contact a specialist conservatory company who offers Liniar or use the Find a Stockist for a fabricator who can put you in touch with one of its customers.. The cost of a conservatory isn’t a standardised number. Several factors go into determining how much a conservatory costs, including the size, layout, glazing options, shape of conservatory and more. To receive a quote for a Liniar conservatory, please contact your fabricator or installer. Who installs Liniar conservatories near me? To find your nearest fabricator or installer, use our Find a Stockist search feature. Enter your postcode, and we’ll give you three of the closest Liniar Approved stockists in your area. Clicking on them allows you to view their profile, with a gallery, customer reviews, products and services available and a contact form for them to contact you. What is the difference in aluminium and uPVC conservatories? Liniar conservatories are designed to match the Liniar suite of windows and doors perfectly, offering a thermally efficient room with a single point of guarantee. See our range of Alumina by Liniar for a true aluminium door system. The main difference between orangeries and conservatories is the construction of their roofs. Conservatory roofs are approximately 75% glazed space while a conservatory typically has a flat roof with a lantern-style glazed roof such as Elevate – though the size can be scaled as necessary. Conservatories also have around 50% of the walls glazed, whereas orangeries are solidly built, usually with bricks, adding windows or bi-fold doors to open up space further. For more information or advice on which would suit your property, speak with your fabricator or installer today. Unlike most competing fencing systems, Liniar is the only range that’s designed, modelled, tooled, manufactured and stocked in the UK. Liniar’s fencing range is made from lead-free, energy efficient, recyclable uPVC, making it a sustainable choice. Liniar invests in developing its range of uPVC fencing, with benefits for fabricators, installers and homeowners. The HL Plastics factory where Liniar uPVC fencing is manufactured is accredited with ISO 9001 quality standards. Liniar uPVC fencing is fully tested in-house and independently for robustness, durability, weather and for quality. Liniar’s uPVC fencing is covered by the 10-year guarantee against warping, splitting or cracking.